Q1: Can you take a commission? Of course! We can take the commission about cosplay costumes. It often takes 15-20 days to finish, the shipping time at least need 2-4 days. 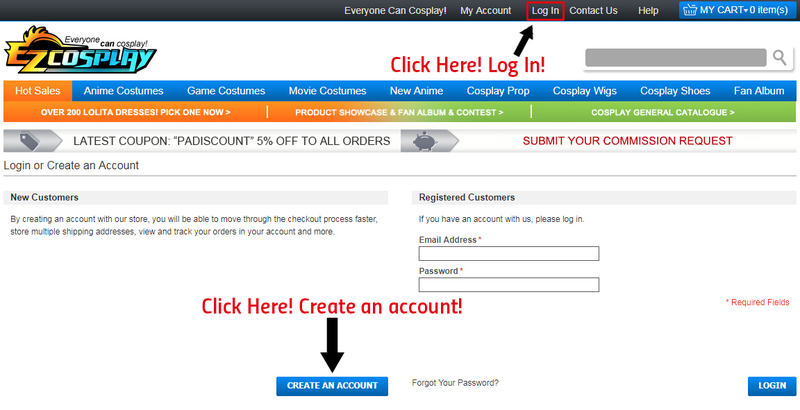 So please place the order at least 3~4 weeks earlier before the cosplay event or the party you plan to go. By the way, we will not accept commission order during our peak season. You can submit your commission request to us via here: submit your commission request, or Contact Us directly. A. What you need to do. Specify the character name and where it from. Send us some detail pics (include front and back) of the character to my email ([email protected]). If not detailed, we may are not able to make it. Please make sure the files less than 1MB in size. Confirm with our dressmakers whether they can tailoring it. Reply to you with a quote for your commission costume outfit. Send you a link to place order if you want to order with us. We accept Paypal, Credit Card and West Union. 1. If you are brand new to our website, we suggest you create an account before you place the order, and then log in to place the order, then you can check your order status and history. 2. Enter the item page you want to order, fill in the wear date( refers to when you need to use the item), choose the gender, standard size or customize, then click" Add to Cart". 3. 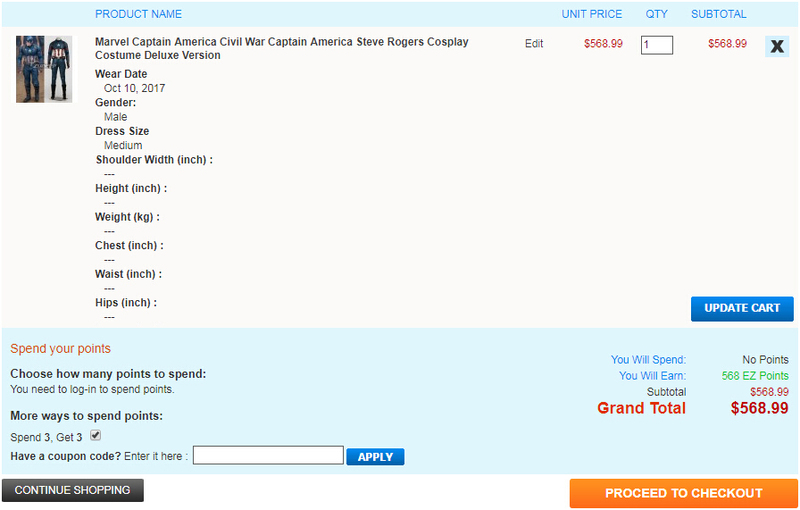 Click button "Proceed to Checkout" if your order information is correct. PS: You can use the coupon code to apply for the discount on this page if you have the code. Q3: How to pay my order? We accept Paypal and other major credit cards (via checkout), please contact us if you would like to pay in other methods. Signing up for a PayPal account is easy and free, and takes just a few minutes to complete. Once you complete, you can send your payment in minutes. If you would like to pay via credit cards, please view the pictures below for the appropriate procedures. Click "continue checkout" and you will be directed to the next page to fill out your information. You can then use your credit card to pay safely and securely. Q4: Why I need to pay additional custom tax for my items? In certain circumstances, some country may charge custom taxes for the purchase from other countries. Please kindly note that buyer should be responsible for Custom Tax of his country, thanks for your understanding. Q5: Do you have the actual picture of the product? As for the picture of the actual product, some of our product doesn't have actual pictures. But our dressmakers have wealth experience and here is customer review. Q6: Which currency do you use? The currency on our website is USD. Q7: Why I choose the customize but the size is XS? The standard size option will turn to size XS automatically when you choose to customize size, this is a default option, but pls don't worry, we will make it according to your measurements as long as you choose the customize size.